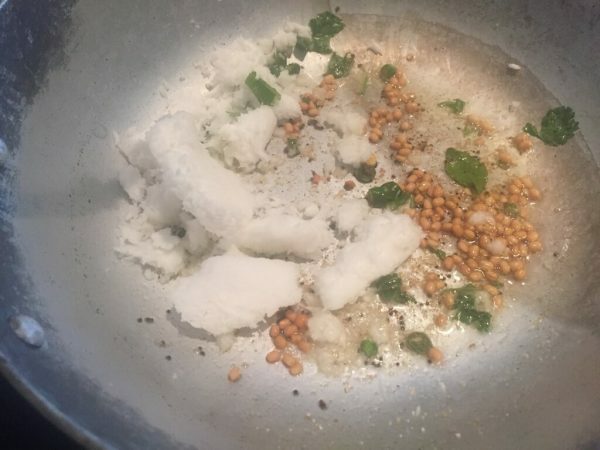 Sundal is the generic term for the South Indian protein/complex carb dish that is made mostly by (sometimes) soaking and then steaming legumes, and seasoning them mildly, and garnished with coconut, cilantro. Roughly they can be equated to salads. 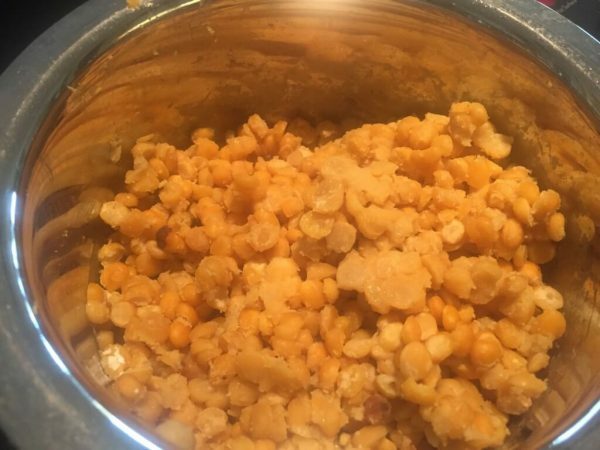 They pack a protein punch, and are made during the festival season of Navratri in the southern part of India, on all nine nights, with different legumes such as chana dal (Bengal gram), chick peas (white as well as the small brown kind), peanuts, green gram, etc. 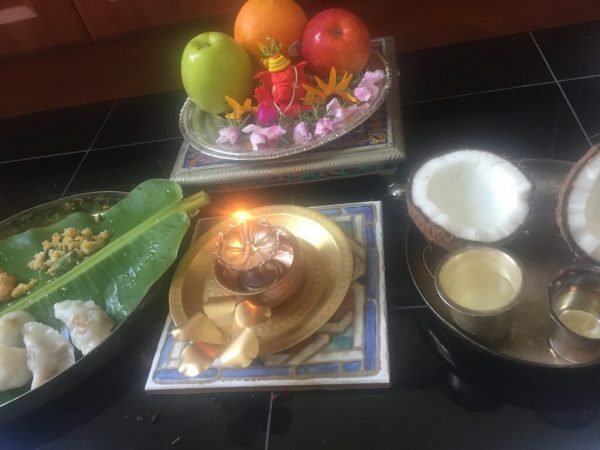 Most of them are made with salt and mild spices, but there are a couple of recipes which are sweetened with jaggery and coconut. I made the one with chana dal for Ganesh chathurthi, which celebrates Ganesha, the god in Hindu mythology who removes obstacles. Sundal is considered one of his favorite foods. Wash the dal, and pressure cook for about 10 minutes, with just enough water to cover the dal. Alternaltively, you may soak it for about 45 minutes, and then cook it for about 7 minutes. The point is to not overcook it to mush. It should be fork tender. After the pressure is released, take it out, and drain any excess water. Turn off the heat, and garnish with cilantro, and drizzle fresh squeezed lime or lemon juice, to your taste. A kind of sundal known as "Thenga, manga, pattani sundal" is a popular street and beach food, sold by vendors carrying stainless steel buckets filled with the sundal made with green peas (pattani), made tangy with slivers of raw mango (manga), and garnished with coconut gratings (thengai). Sold in paper cones, beach and sundal go hand in hand, and are in the DNA of most south Indians living in coastal Tamilnadu. Sundal is a high energy, protein- and complex-carb rich food that is part of the balanced South Indian meal. It is such a brilliant part of the typically high carb (rice) meal that's a staple in most south Indian homes. Add carrot gratings, and diced cucumbers for an even healthier complete meal. They make a great after-school/ afternoon pick me up! 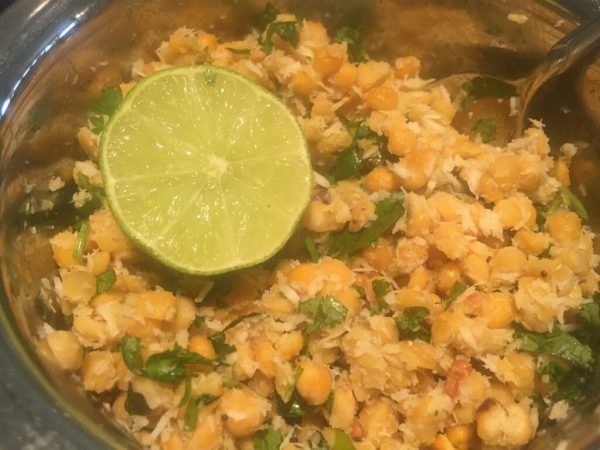 I wouldn't skip the lemon jucie and cilantro as chana dal by itself is, let's be honest, pretty boring. 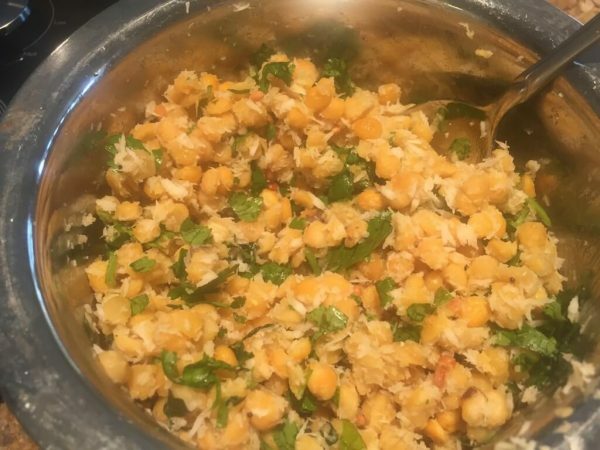 The coconut, lime and cilantro add a bright flavor that's unbeatable!